The mountain of evidence that Nordic Hamstring Exercises are a crucial part of preventing hamstring injuries has been re-inforced by a recent paper published in the British Journal of Sports Medicine. Nicol Van Dyk and her colleagues conducted a meta-analysis of all the current literature and found that including Nordic Hamstring exercises to a conditioning program (twice a week as part of a warm-up) reduced hamstring injury by 51% through a season. In real terms, that's 4-6 weeks of playing time not missed by performing a simple warm up exercise. 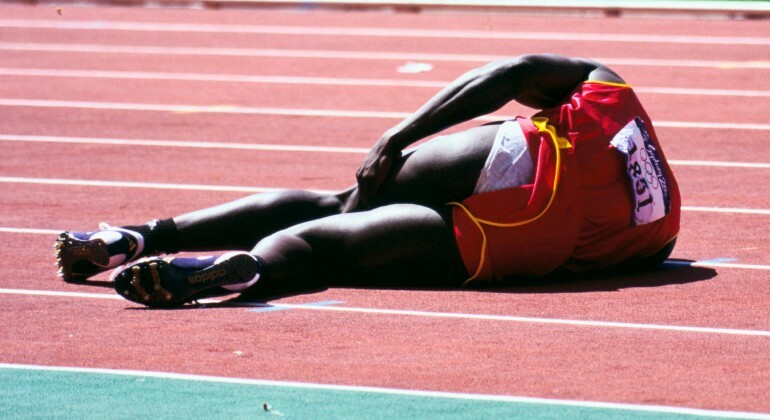 Previous hamstring injury doubles your risk of injury, for a number of reasons, one of which is incomplete rehabilitation. They simply don't just recover with rest or an off season. At Kinetic Sports Physiotherapy, we are able to assess your hamstring injury profile using our Nordbord, providing you with a graphical summary of your hamstring strength. We run training sessions where you can utilise the Nordbord as a real-time feedback tool to get the most out of your workout. Running is a highly popular physical activity with millions of regular participants globally. Compared with other types of sport and exercise, running alleviates many barriers to being physically active. It is easily accessible and convenient, making it an attractive and time efficient form of exercise. Regular running also provides numerous health benefits, both physically and mentally. In fact, runners have a 25-40% reduced risk of premature mortality and live approximately 3 years longer than non-runners. With regular physical activity having been shown to prevent up to 35 chronic conditions, including type 2 diabetes, coronary heart disease, stroke and depression, running is a great way to improve your health. Despite so many potential health benefits, running is frequently suggested to be associated with negative longer-term impact on the health of your knees. With the repetitive nature of running over long distances, and the accumulative load this places on your knees, you can understand why many people may believe this to be true. Whilst the knee is one of the most frequent sites of overuse injury in runners ,there is a growing amount of research evidence that demonstrates running, at least at a recreational level, is not linked with the eventual development of knee osteoarthritis (OA). Given that knee OA is associated with significant pain and impaired quality of life and the well-known health benefits of consistent endurance running, this is good news for runners. A recent systematic review reported that a history of recreational level running was associated with a lower prevalence of knee OA (3.5%) compared with sedentary individuals (10.2%). Conversely the same study reported that runners with a long history (>15 years) of running at a high competitive level (i.e. elite international competition) may have an equivalent risk of developing knee OA (13.3%) as non runners. Another recent study also reported a lower prevalence of knee OA amongst a group of active marathoner runners. People in this study included runners who had completed at least 5 marathons and were currently running a minimum of 16km per week. So what does this mean for current runners? It appears that regular running at a recreational level up to and including marathons, may have a protective effect against the development of knee OA, whilst long exposure to high volume and/or high intensity running may increase the risk of knee OA development. As to where the ideal ‘sweet spot’ lies in regards to running load (i.e. intensity, volume and frequency) to maximise the health of your knees remains unclear, and further high quality research is needed. It is important to remember that other individual factors, including older age, excessive body mass, heavy occupational workload and previous knee injury can predispose a person to an increased risk of developing knee OA. The influence of these risk factors on the development of knee OA in runners is also yet to be determined. What if you already have knee OA? Whilst the substantial benefits of regular exercise for the management of knee OA are well established, there is currently very little research examining the effect of continuing to run, or commencing a running program following a diagnosis of knee OA. Uncertainty as to whether running with pre-existing knee OA accelerates disease progression exists in both the general population and amongst health care professionals. Fear of causing pain or further joint degeneration likely leads many runners to significantly reduce their running volume or quit altogether following a diagnosis of knee OA. To date, only one study has examined the effects of continued running on the pain and disability associated with knee OA. Self-selected running in individuals of a least 50 years of age does not appear to accelerate the progression of knee OA. In fact, runners with OA demonstrated more improvement in knee pain compared to non-runners with OA,but it is unclear whether running participation helped to reduce pain or was a sign that someone was managing better. More research is needed to guide runners with knee OA as to the optimal intensity and volume of running. In summary, from the current research evidence we can confidently conclude that running is not bad for your knees. Furthermore, consistent participation in recreational running appears to actually increase knee health and function in the long-term. As to the ideal amount of running to optimise joint health, this remains unclear. 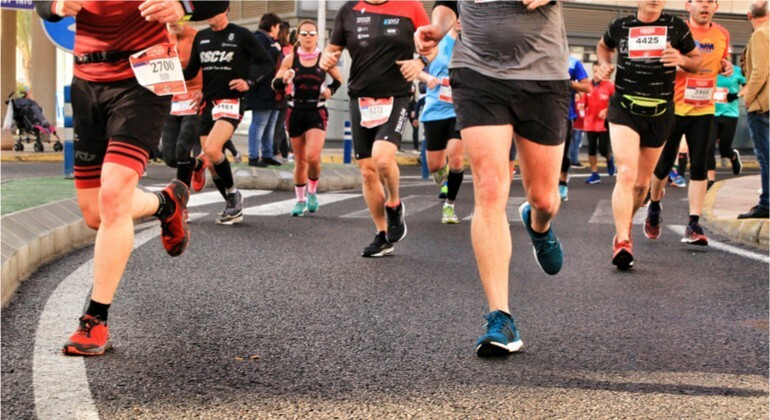 It is critical to remember that the volume of running a person can tolerate is very individual, and will depend on a number of factors, including your past or current history of knee pain. Careful management of running loads, running technique, and strength training, are important considerations when returning to running following injury and to reduce future injury risk.Runners should consult a health professional who has experience working with runners for advice specific to their individual circumstances. Do this and hopefully you can keep running! You may have heard through the media or directly through your private health insurer about the changes to your ability to claim a rebate for "Pilates Classes". These changes come into effect on April 1, 2019 as a result of the Federal Government's Private Health Insurance Reforms. For us, the only thing that will change for us is your receipt. Our classes, although called Clinical Pilates have always been individually tailored group exercises, drawing from a variety of exercise domains. They have been specific to each individual, regularly re-assessed and progressed. This will not change and we believe, has been one of the things that has made our classes different to a "Pilates Class". First and foremost, our classes are Physiotherapy and always draw from a wide range of evidence-based domains. There is a great article on the Australian Physiotherapy Association website, explaining the changes in detail https://australian.physio/advocacy/phi-pilates-reform. Otherwise, just ask us next time you're in.